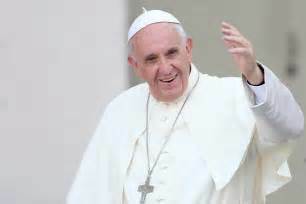 Pope Francis (born Jorge Mario Bergoglio, 17 December 1936) is the 266th and current Pope of the Roman Catholic Church. He chose Francis as his papal name in honor of Saint Francis of Assisi. Francis is the first Jesuit pope, the first from the Americas, the first from the Southern Hemisphere and the first Pope from outside Europe since the Syrian Gregory III, who reigned in the 8th century. MEntity: The current Pope Francis is a 5th Level Mature Server-Cast Sage from Cadre 11, Entity 6 and is included in our range of students. This fragment has heavy Baby and Young Soul imprinting that remains a struggle and does not allow for the full Manifestation of Essence, but it is often present within the broader contexts. MEntity: This fragment does relay the greater ideals of the teachings of the Infinite Soul in a way that challenges the momentum of sleep that has been in place for centuries around this teaching. MEntity: It is a meaningful step away from the "religiosity" that kills a teaching.